You'd think that stricter standards for the products we slather on ourselves each day would be a good thing, but not everyone's standing behind the Safe Cosmetics Act of 2011, a new bill that could—quite literally—change the face of the beauty industry as we know it. An online petition has been urging small-business owners to denounce possible legislation, calling it "unworkable, unfair, and fundamentally flawed." We asked Janet Nudelman, program director of the Breast Cancer Fund, a nonprofit that seeks to eradicate the environmental causes of breast cancer, to make sense of the misinformation. In her own words, Nudelam debunks four of the most commonly held myths about the bill. I thought yoiu were going to say that this will cause even more torure of animals for testing? Why "ecoFriendly" rarely means "animal friendly"? Can we focus more on actual living beings that are being killed everyday and not just humans and environment? I'm sorry but I respectfully disagree. I am a small business owner; a supplier of natural ingredients imported directly from the producers all over the world. It is IMPOSSIBLE for me to demand that these producer supply all the information mandated in this act; but as a supplier I am mandated to provide it. Now, I know which of my products carry some risk if used unwisely, and I always provide full information about their safe and appropriate use; but this is not enough to meet the standards of this bill. People are ending up in the hospital from eating salads...have you ever heard of anyone being hospitalized from the cosmetics they chose? Perhaps the FDA's limited time and funding should be better spent finding and eliminating the dangers in our food chain rather than chasing nonissues. yes i have seen people end up in the hospital from the cosmetics they chose... or CHOSE for years.. it's called CANCER! The petition argues that the cost of pre-market testing for ingredients and contaminants from ingredients would be a barrier to entry for small businesses and put the majority of them out of business. This concern was addressed by the bill authors in the new bill through an expanded “producer right-to-know" provision that enables cosmetics companies to get toxicological data and safety information for cosmetic ingredients—as well as documentation regarding the presence of contaminants—from suppliers, including a full list of chemicals in fragrance and preservatives, which is information they were previously denied access to. This places the responsibility for providing ingredient-safety data on suppliers rather than on manufacturers of cosmetics products. The bill also includes important provisions on data sharing that will ensure that manufacturers have access to existing safety studies on commonly used cosmetic ingredients so they won’t have to repeat these studies. The Safe Cosmetics Act of 2011 requires manufacturers to disclose the name of each ingredient in their products in descending order of prominence, including the ingredients that make up fragrance. It's up to the FDA to determine whether all ingredients are to be listed on the product label or online—an important “reality check” for small products that contain a lot of ingredients. The opposition petition incorrectly states that the bill would require labeling of contaminants that occur in nature and specifically in botanicals. The new bill does not require full listing of all constituent ingredients in botanicals on the product label. Instead, it allows the FDA to require labeling of specific constituent ingredients of concern (e.g. common allergens as is currently required in the European Union). The petition’s assertion that companies will have to publicly disclose the percentage of ingredients used to formulate a cosmetic product simply isn’t true. ?Finally, an important new provision regarding contaminant testing was also included in the new bill in response to concerns raised by small cosmetic manufacturers: The bill now requires the FDA to create a list of specific contaminants likely to be found in certain cosmetics ingredients, provide testing protocols for these contaminants, and determine the level at which these contaminants must be listed on ingredient labels. This will go a long way in clearing up the confusion regarding contaminant testing. The Safe Cosmetics Act will bring cosmetics into line with other products the FDA is already overseeing, and it'll help the agency do the job the American people think it is already doing. Under current law, companies can put unlimited amounts of almost any chemical into personal-care products with no pre-market safety review. The FDA doesn't even have recall authority over cosmetics as it does for other products. For example, it wasn't able to recall even illegal products, such as the recent scandals involving mercury in face cream. This system does not inspire consumer confidence in American cosmetics. The FDA was once the world’s leading consumer protection agency but it has fallen far behind other countries. The Safe Cosmetics Act will give the FDA the resources and power it needs to oversee the safety of products we put on our bodies. This is at no cost to taxpayers; the system will be funded by the bigger companies that are already funding the ineffective system of the Cosmetics Ingredients Review panel. 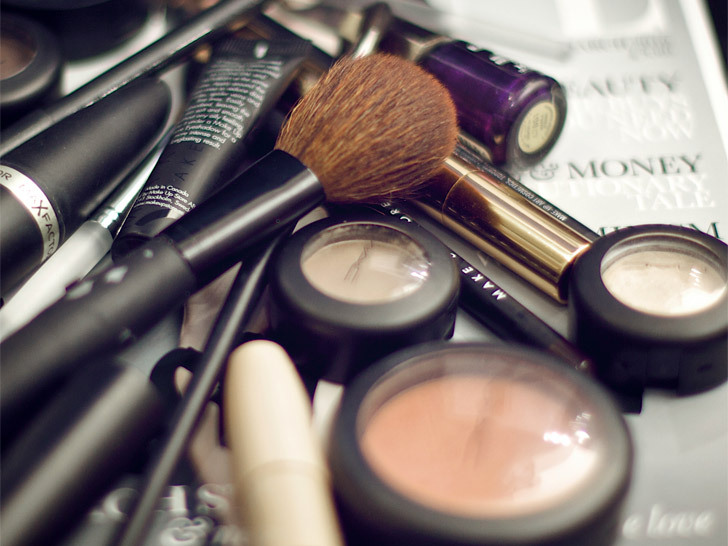 CIR, which is paid for by the industry trade association and housed in the same offices, has reviewed only a small percentage of cosmetics ingredients and has no power to remove unsafe ingredients. In closing, I want to say that the Breast Cancer Fund, the Campaign for Safe Cosmetics and the environmental-health community enthusiastically support the Safe Cosmetics Act because it is a smart piece of legislation that will make the fundamental shifts necessary to move the cosmetics industry away from harmful chemicals while also preserving opportunities for small businesses to succeed and grow. We strongly support small businesses and we have always been major advocates for elevating the work and values of the independent businesses that are the driving force of innovation toward health and safety in the personal-care products industry.